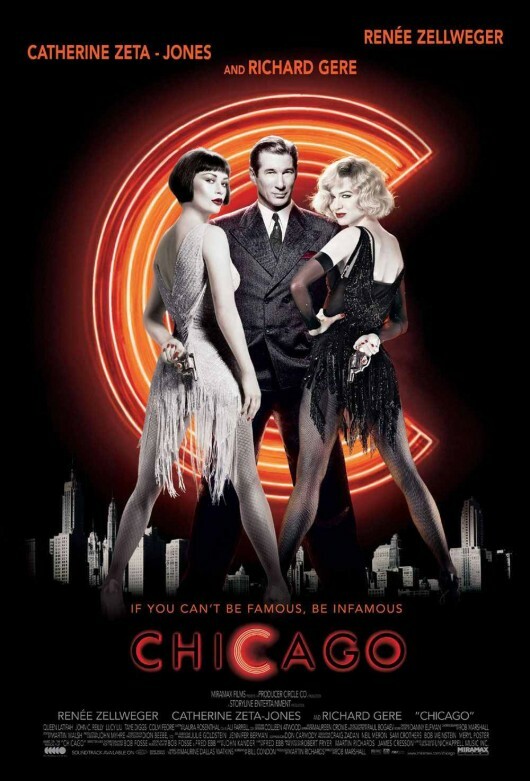 Synopsis: Murderesses Velma Kelly and Roxie Hart find themselves on death row together and fight for the fame that will keep them from the gallows in 1920s Chicago. Did You Know? Renée Zellweger had no singing or dancing training prior to this film. Quotables: BANDLEADER: Ladies and gentlemen, Miss Velma Kelly in an act… of desperation. My two best friends in middle school coerced me into seeing this when it was first released. This was when I was vehemently opposed to musicals. But I was glad that they did, because I absolutely loved it. I wasn’t certain at first, but by “Cell Block Tango”, I was mesmerized: the lyrics were hilarious, the music was catchy, and the choreography was stunning. I know it’s different in the stage production, but the thing I loved the most about the film was that the musical numbers were imagined by Roxie. It’s a riveting and fun spectacle of glitz and glam.